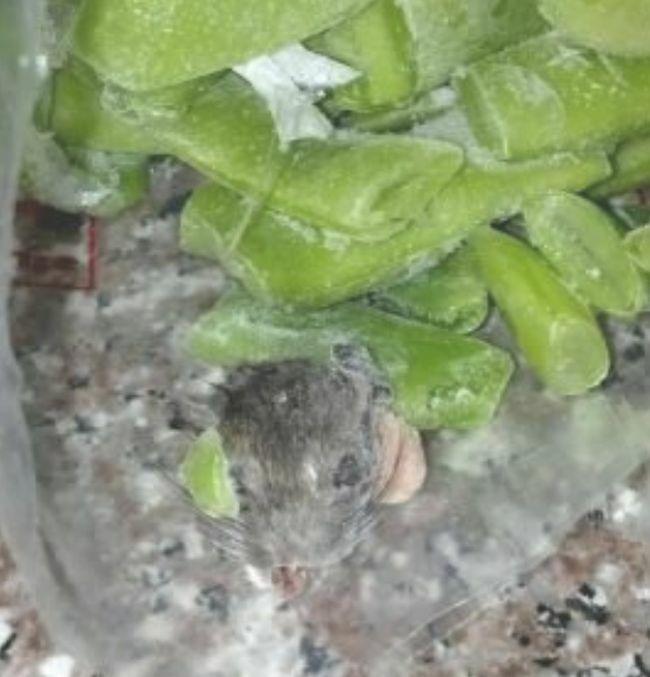 Don't ever be afraid to check what's in your food before eating it. You never know what's going to be in there. 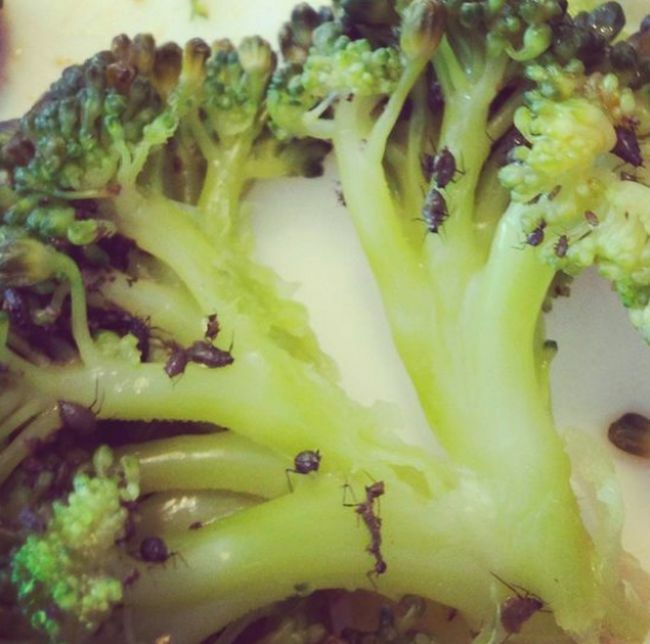 If you already found broccoli revolting, this should confirm that you were right all along. How old is this beef stew? 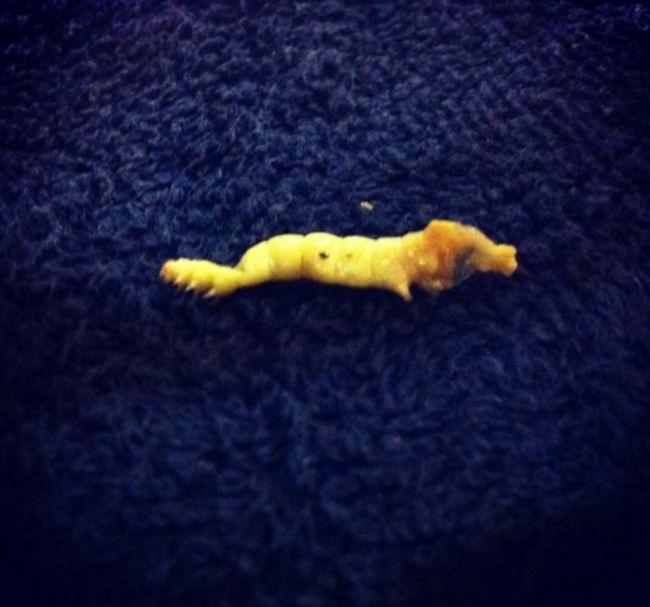 I'm pretty sure whatever animal that is, it's extinct by now. 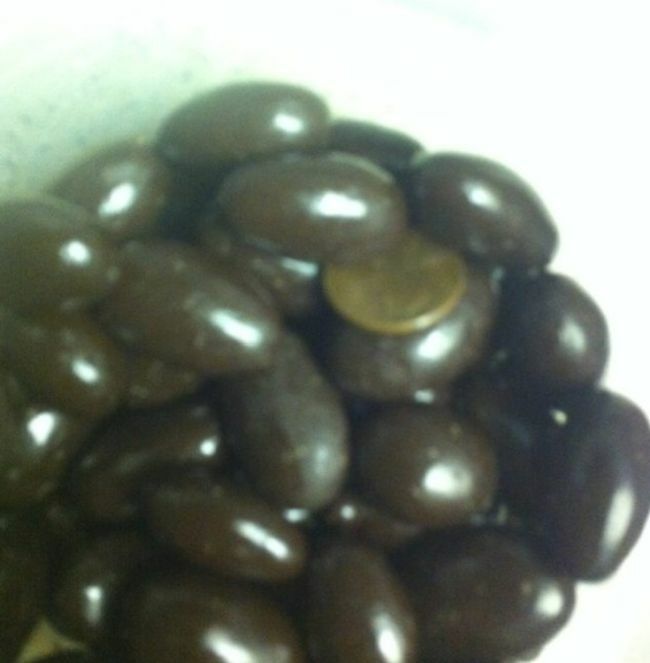 On the bright side, they got a one cent discount on these chocolate almonds! It's kind of hard to tell, but that brown stuff is what's left of a rat carcass. 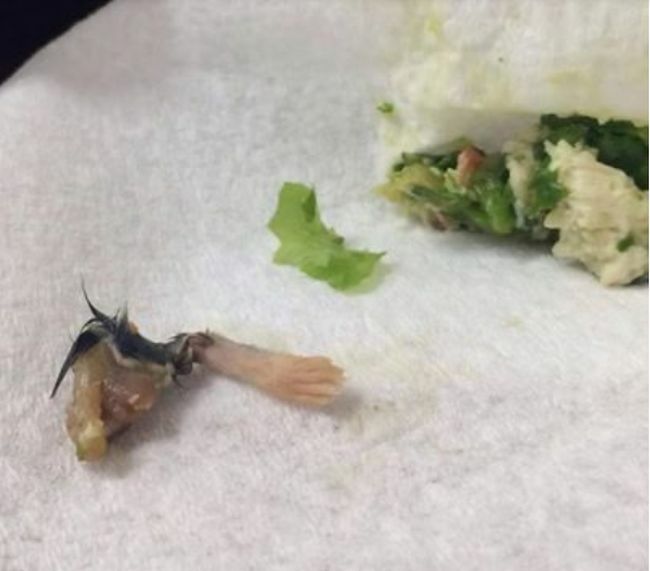 For some reason "mouse legs" sounds way less appetizing than "frog legs." 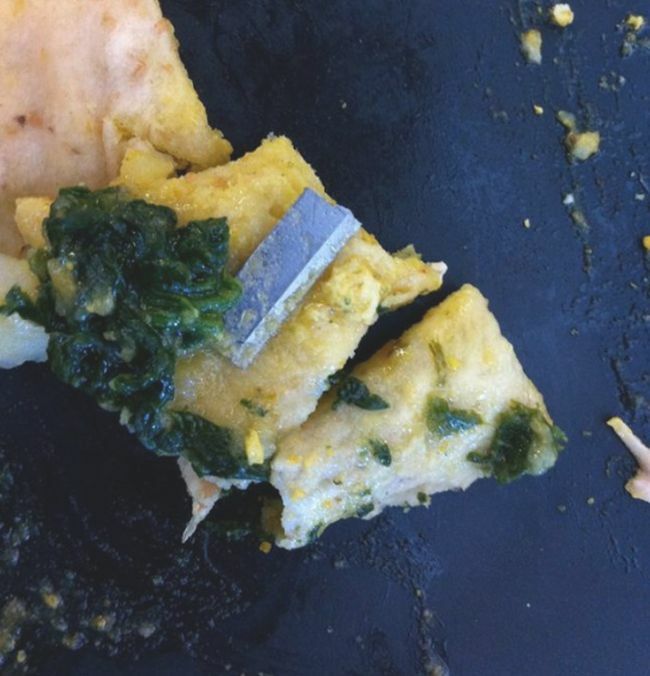 I'm sure this isn't what they mean when they say "sharp cheese." 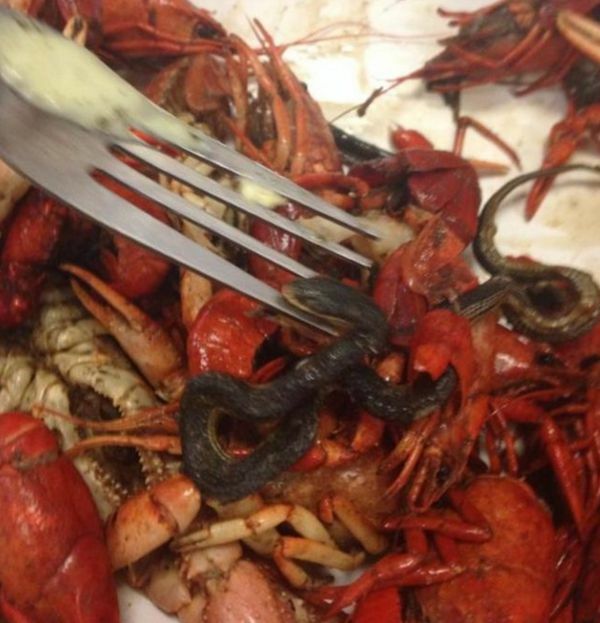 This was found in someone's Chinese food. Good on them for finding it amongst all that soy sauce. 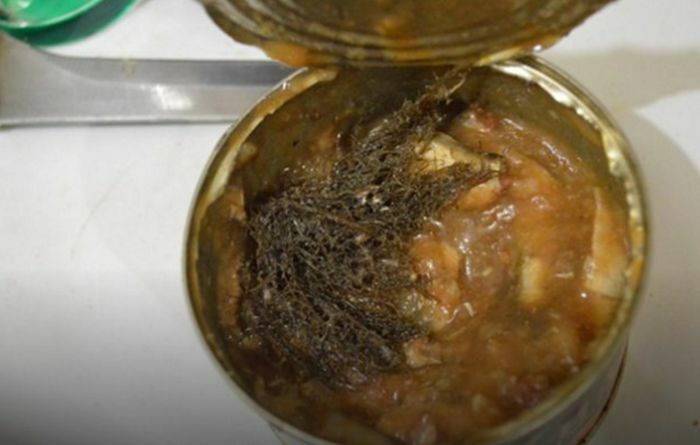 This can of fish may be contaminated, but it's okay because the sponge can just clean itself...right? 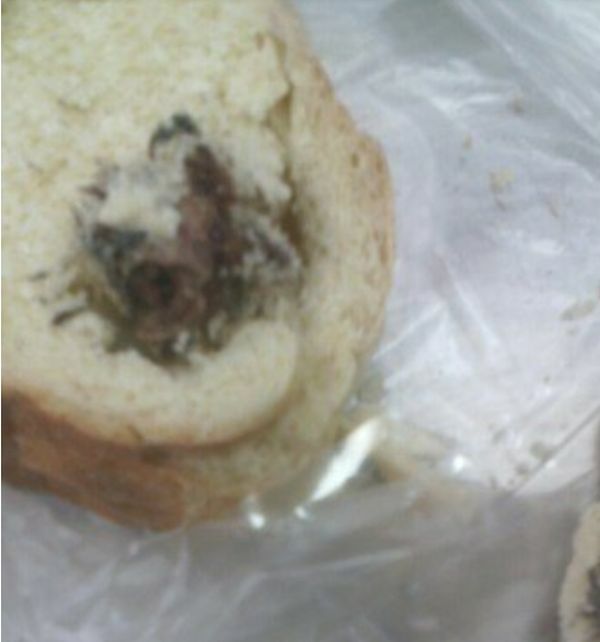 Is this bread secretly working for the FBI? 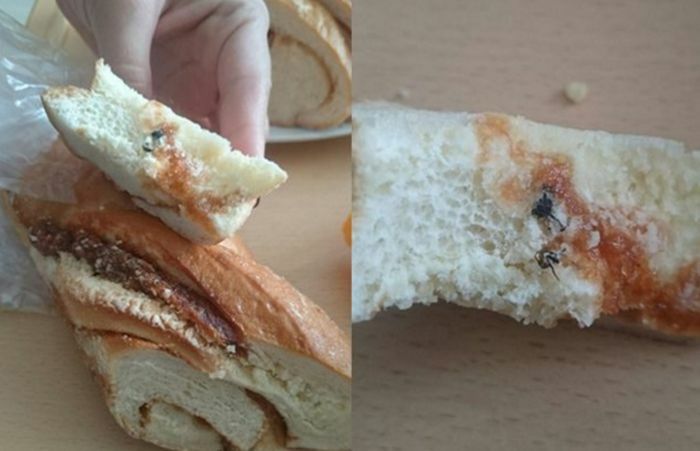 No, that's not a raisin...it's a fly. 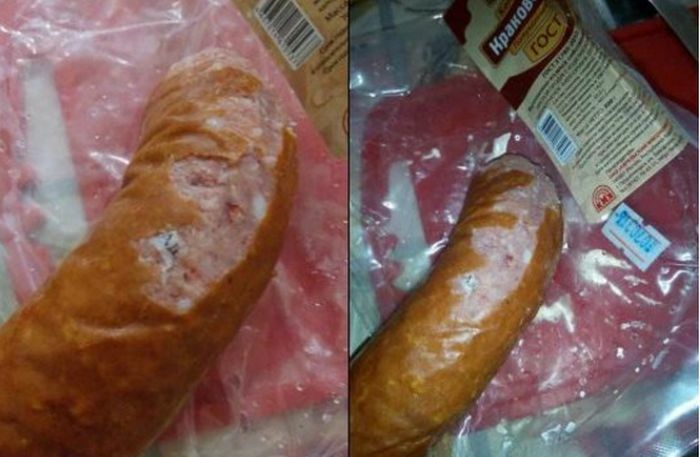 In Russia, someone found a piece of paper embedded in their bologna. 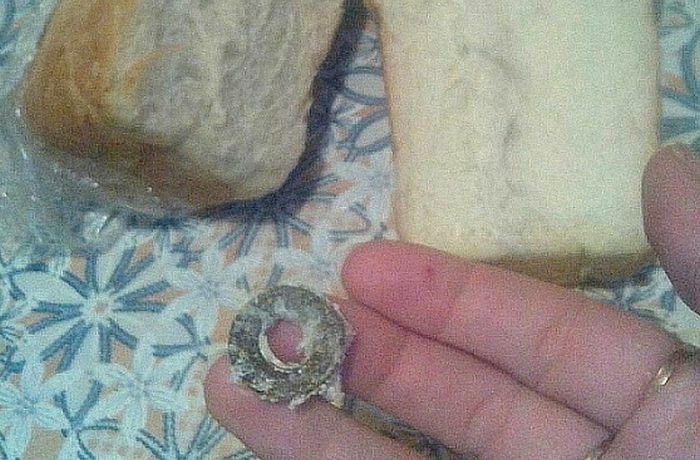 Gained a washer, lost a loaf of bread. With the low prices at Walmart, you always come out...a head. 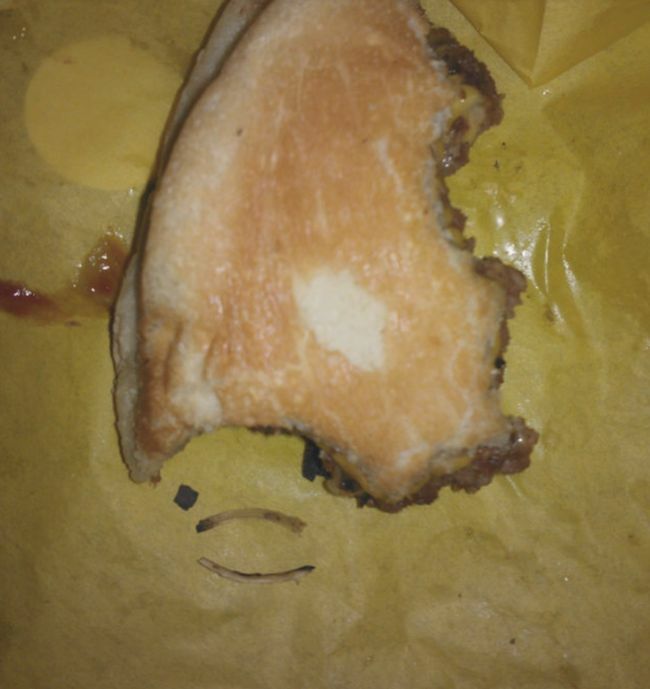 He ordered the McBurger, not the (tiny) McRib! 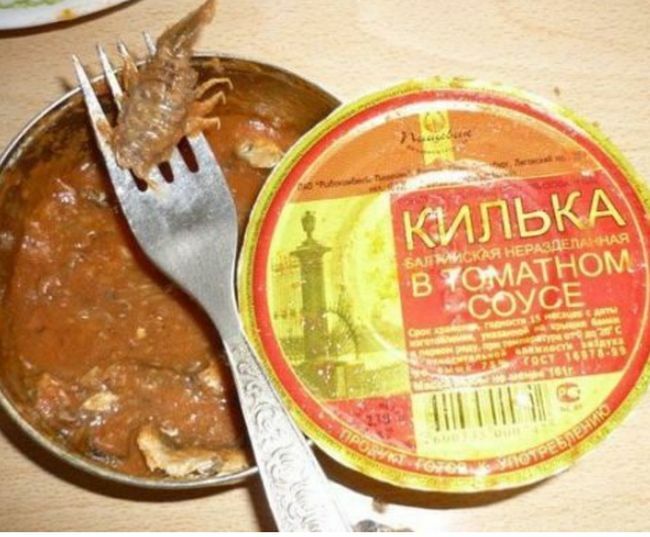 #2 this is not beef stew, this is sprat in tomato sauce... with entrails, heads and everything. 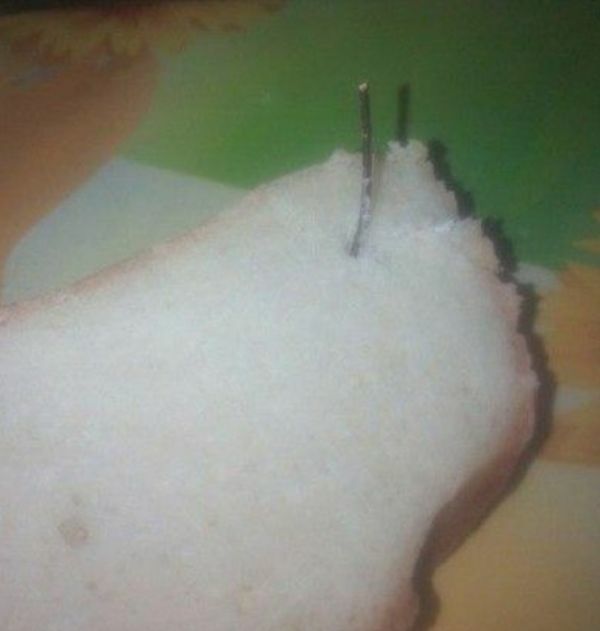 a gruesome thing; symbol of post-Soviet rock bottom, actually.